Cecilia Corsi is Visiting Fellow at the MPC and Full Professor in Public Law in the Department of Legal Studies of the University of Florence. She graduated in Administrative Law (1986, University of Florence) and got a PhD in Public law in 1993. Later she became a researcher and then an Associate Professor in Public Law at the Political Sciences Faculty of the University of Florence. 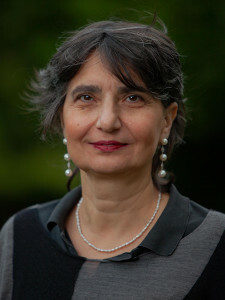 She directed the “Cesare Alfieri” School of Political Sciences (2013-2016). She participated in several research projects financed by the Italian University Ministry. She led two projects financed by the Tuscany Region on the themes of participatory democracy. She a member of the research program financed by the European Commission: “Multilevel Governance of Mass Migration in Europe and Beyond” (RESPOND). She is editor-in-chief of the Journal “Diritto, Immigrazione e Cittadinanza” and Member of the Editorial Board and Responsible of the section “Local sources” for the Journal “Osservatorio sulle fonti”. She is the author of three monographs and a number of academic articles in several subjects of administrative and constitutional law. Her research interests include immigration law, local government, executive agencies, deliberative and participatory democracy. Research topics: Immigration law, local government, immigrant integration, Citizenship laws.